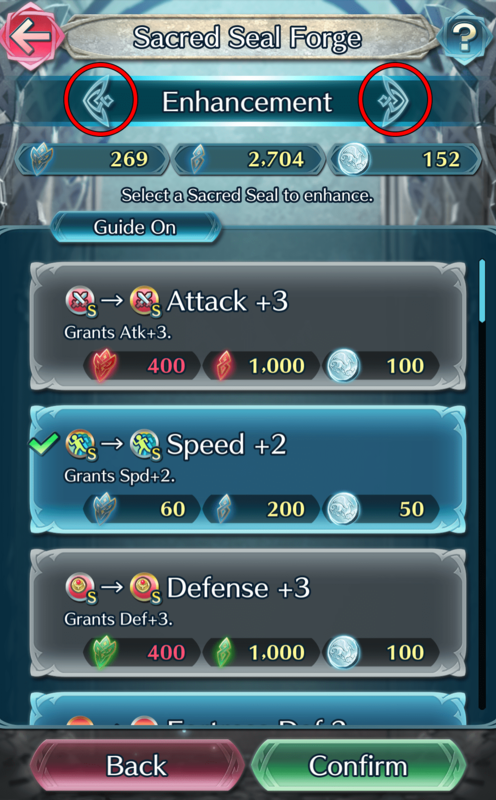 You know, I’ve noticed that the badges you need to make Sacred Seals show up in the Training Tower kind of a lot. Good eye! But did you also notice that the kinds of badges you can get in the Training Tower change every day too? Really? How strange! Why’s that? That’s a good question! My keen mercantile instincts tell me there’s some good business sense at work here. Providing daily offers is a fundamental tactic for getting more regular customers through the door. Whoever runs the Training Tower has keen business acumen. Wait… Are you saying there’s someone who actually runs the Training Tower? And it’s a business? Two of the main ways you can get Sacred Seals are by creating them in Change Equipment → Sacred Seal Forge and by earning them in events. 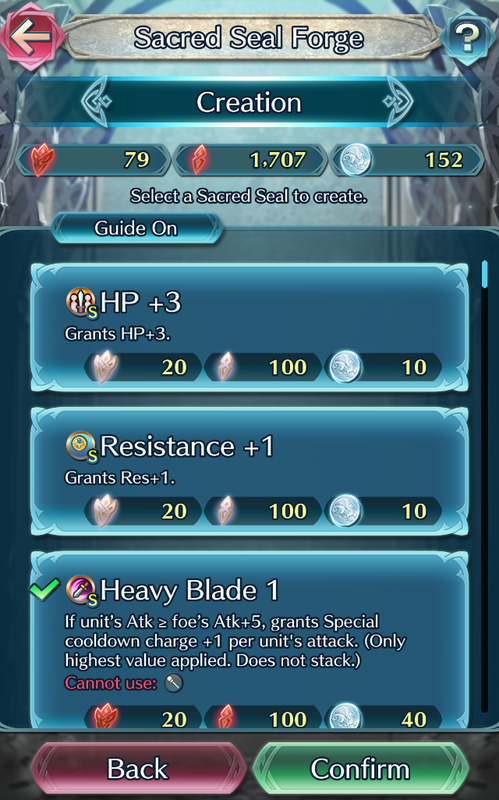 You can also earn very valuable seals in Tempest Trials (Events), depending on your performance in battle. Seals can also be earned as rewards for clearing maps in Squad Assault (Story Maps). The Sacred Seal Forge option allows you to create seals from scratch using badges and Sacred Coins, and you can also tap the arrow icon to switch to the Enhancement screen, where you can spend the same items to enhance seals. The third step of enhancement costs the most materials, so if you’re low on Sacred Coins, it might be good to set your sights a little lower for the time being and save up for the more readily attainable second step instead. We recommend clearing Training Tower maps to earn the badges and Great Badges needed to create and enhance Sacred Seals. The rewards you can earn change every day, so playing daily will provide a constant supply of materials. Sacred Coins, on the other hand, can be earned as rewards from events and the Arena. 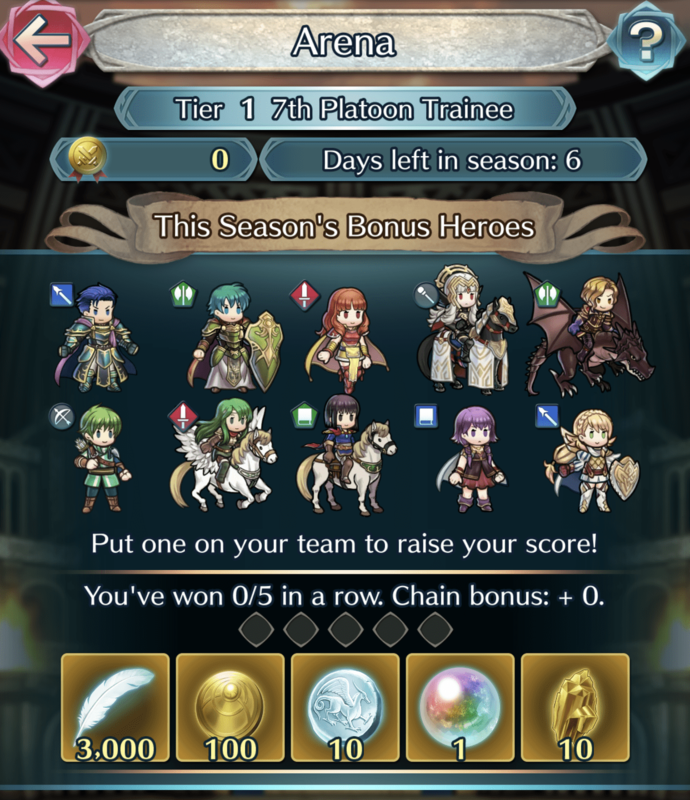 The regular Arena awards Sacred Coins for winning multiple battles in a row, while Arena Assault offers them based on your tier.